Can Automotive Pollution Cause Environmental Illnesses? 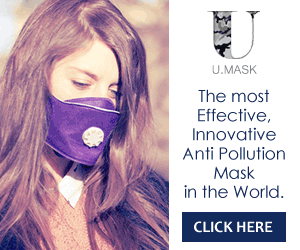 / Can Automotive Pollution Cause Environmental Illnesses? When discussing environmental illnesses, we often focus on things that can make us sick within our homes or in the workplace. It’s often said that pollution indoors is worse than the pollution outdoors, and if you’re talking in terms of the density of fine particulates like dust and dander in the air then that may be true, but the air outside can be dangerous in other ways, especially in heavily populated areas. Automotive pollution is a key concern in this regard because the substances that are emitted from vehicle exhaust systems are known to aggravate and exacerbate breathing conditions in susceptible individuals. Likewise, being exposed to excessive levels of smog over time can increase the chances of developing general health problems. Although personal vehicles make up the vast majority of automobiles on the roads at any given time, and semi-trucks only account for about 5% of the total traffic, the companies that operate those fleets have a corporate environmental duty to manage their carbon footprint responsibly. In recent years, companies like Satellite Industries have made efforts to utilize trucks that are more efficient and environmentally friendly. These measures are not only helping the environment as a whole, they’re also making the exhausts of trucks less dangerous on a localized level, so that parking or standing near one isn’t as hazardous as it once was. What About Mechanics and Hobbyists? While most of us who live in or near cities are exposed to automotive pollution on an ongoing basis, the exposure is much worse for someone who works on vehicles either as a hobby or occupationally. It’s not uncommon for individuals in this group to develop unpleasant symptoms like headaches, fatigue, and breathing problems as the body naturally tries to defend itself from foreign particles in the sinuses, upper respiratory tract, and lungs. Thus, it’s very important for anyone who works on vehicles regularly to maintain adequate workspace ventilation and wear a respiratory mask, gloves, goggles, and other applicable safety gear. Most of us don’t think about how we can avoid vehicle exhausts because it has become so ubiquitous, but with a few simple adjustments you can greatly minimize your exposure. When you turn off your car, wait for a minute or two for the exhaust to dissipate before you get out. Make sure your windows are all the way rolled up when you’re parked directly behind a truck or other vehicle with heavy exhaust. Leave your garage open for at least 10-20 minutes to let the exhaust fumes air out before closing the garage door. Check local weather notifications for smog alerts and avoid doing roadside jogging within close proximity to major roads where there are vehicles frequently passing by. Smelling the foul stench of a vehicle’s exhaust is an unpleasant experience that we all find ourselves subjected to occasionally as we walk through a parking lot or cross the street. Fortunately, future generations may not have to deal with this unhealthy annoyance as much, as manufacturers and legislators are making ongoing efforts to reduce automotive pollution going forward.